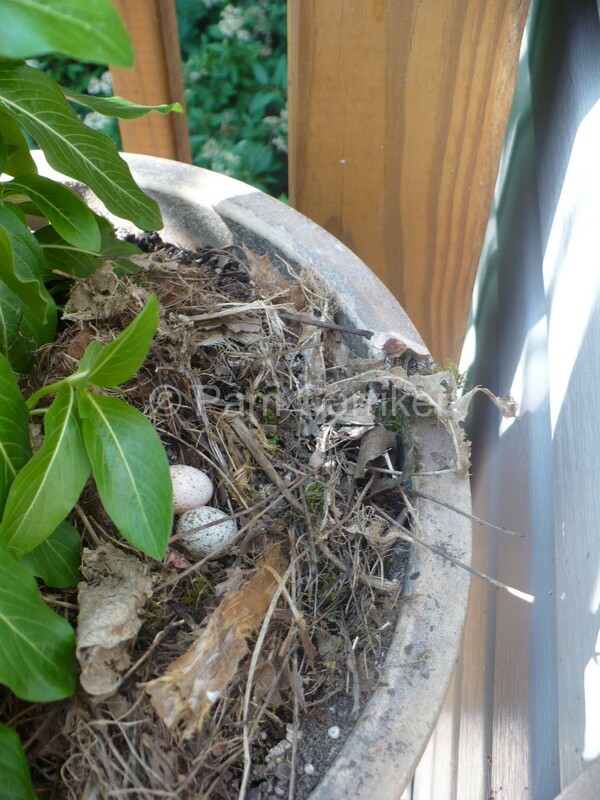 I was so excited a couple of days ago to find this sweet little gift of nature in a flower pot on my deck. Two precious little eggs in a nest so close to my back door. 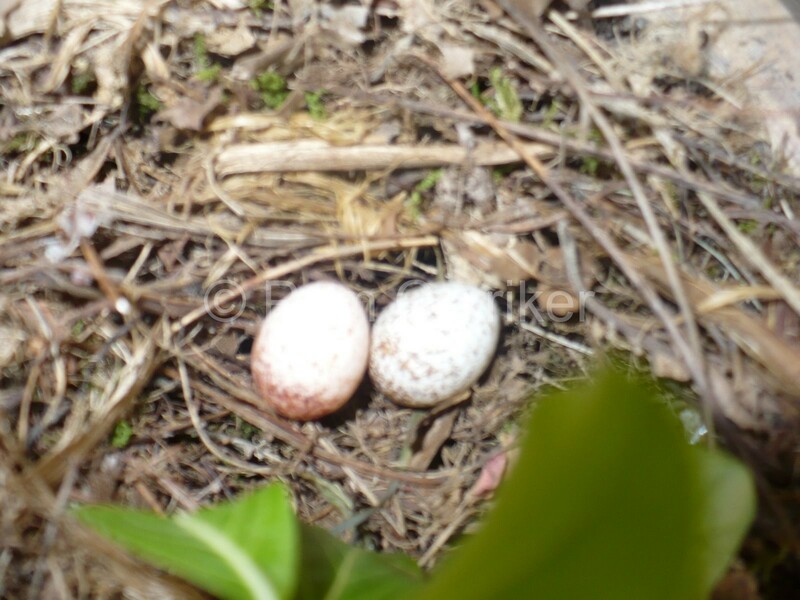 But I have come to realize these eggs have been abandoned, the mama bird nowhere to be seen. They inspired this painting which I have titled simply ‘Nurture’. Seeing the eggs so lovingly tucked into the nest stirs the mother’s instinct inside my heart. Sometimes despite our best intentions and efforts, we are unable to ‘mother’ for various reasons. Sometimes our children are simply too independant and we must sit on the sidelines while they find their way. They will one day realize that even when they did not want our help, we were there all the time waiting and watching. beautiful work pam. there is something about birds and eggs that i'm drawn too. those little eggs look so cute in your flower pot! It's hard to be on the sidelines! I miss nurturing my children.My youngest is 12 and she"s growing her wings fast! This is such a beautiful piece.It really touched me. Thanks for sharing. 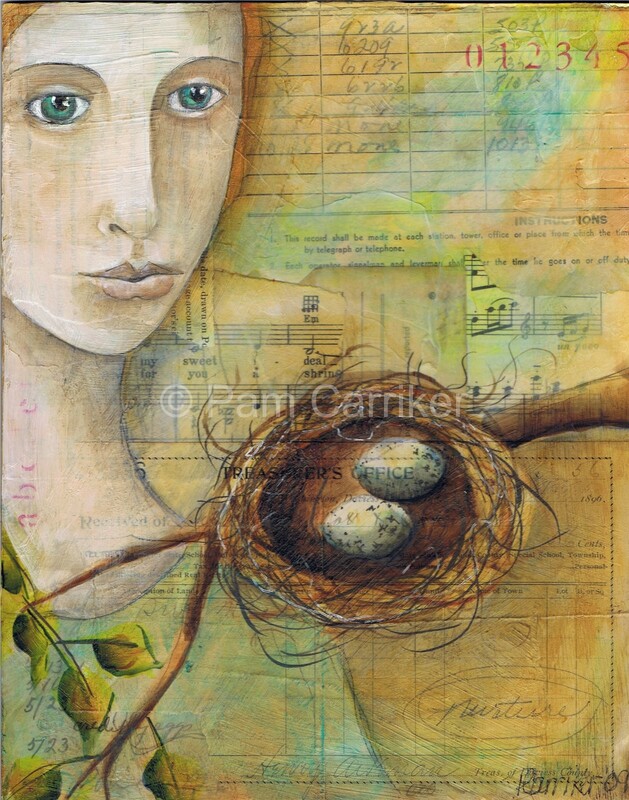 Gorgeous new piece, Pam, with so much heart….such sweet little eggs too.